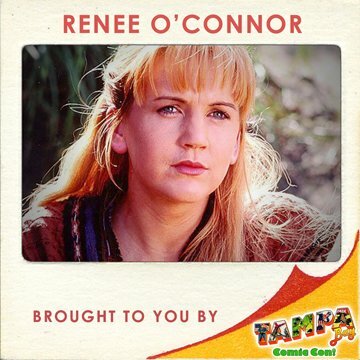 Renee will be appearing at the Tampa Bay Comic Con for Photo Ops and Autographs. There is no mention of her doing a Q&A. Renee will be at the convention on 29-30 July 2017. Tampa Bay Comic Con is a comic book convention located in Tampa, Florida. Tampa Bay Comic Con is Tampa’s largest, true comic con. Featured are exhibitors that cater to a wide-spectrum of interests including comic books, magazines, toys, games, Star Wars, Star Trek, anime, manga, cosplay, artwork, sketches and apparel. In addition, a roster of comic industry professionals, and comicdom-related celebrities are in attendance for attendees to meet and greet. As admission is kept reasonable for adults and FREE for children, the Tampa Bay Comic Con is a family-friendly convention.